Thanks again to OldDogDesign, we have Pabst Park T-shirts in short and long sleeve available for sale. All information is on the order form. Orders must be placed by November 1st. If you submit the form and payment to CoCo, she will deliver the shirts to you upon arrival. Email orders that do not include payment will require payment upon delivery. We are hoping to have the shirts ready for delivery by mid to late November. Order yours today! Order form, here. Our Fall Newsletter is ready for distribution. Volunteers are needed to deliver the newsletter at your convenience anytime before Sunday, October 8th. If you can help out with a block, please email pabstpark@gmail.com with your name and address and the closest block available will be assigned to you. We need about 18-20 volunteers to help with delivery. Many hands make light work, please volunteer today! Our 2017 membership year ends September 30th. To renew or become a member of the PPNA, please click this link to access the traditional printable Membership Form or to use our new online Membership Form, please click this link. Not sure if you signed up for a two year membership, last year? Contact Emily, at emily.kodet@gmail.com with questions. If you join us on Monday, October 23rd you can pick up your glow light for Trick or Treat. Join by October 31st to be entered into our prize drawing! 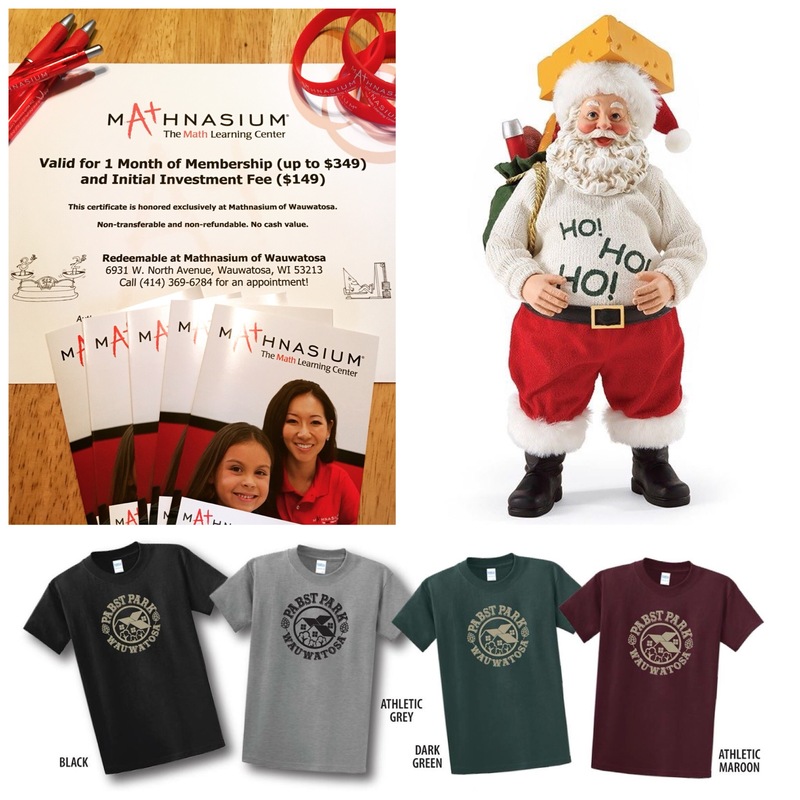 You could win a free one year membership, PPNA T-shirts, a Mathnasium gift certificate or a Cheesehead Santa Collectible from Callisters Christmas. Everyone is encouraged to sign up at this time even if you are not participating in the Trick or Treat event. It gives us a chance to plan events for the entire year, which normally include TGIF’s, an Egg Hunt, and of course, Trick or Treat! Membership dues also help cover administrative costs such as insurance and newsletters. Please support our corner of Tosa by joining the PPNA! Our final event of the membership year will be Sunday, September 24th at Big Head Brewing Co. located at 62nd and State Street. Board members will be on hand an hour before game time to secure the sideline! 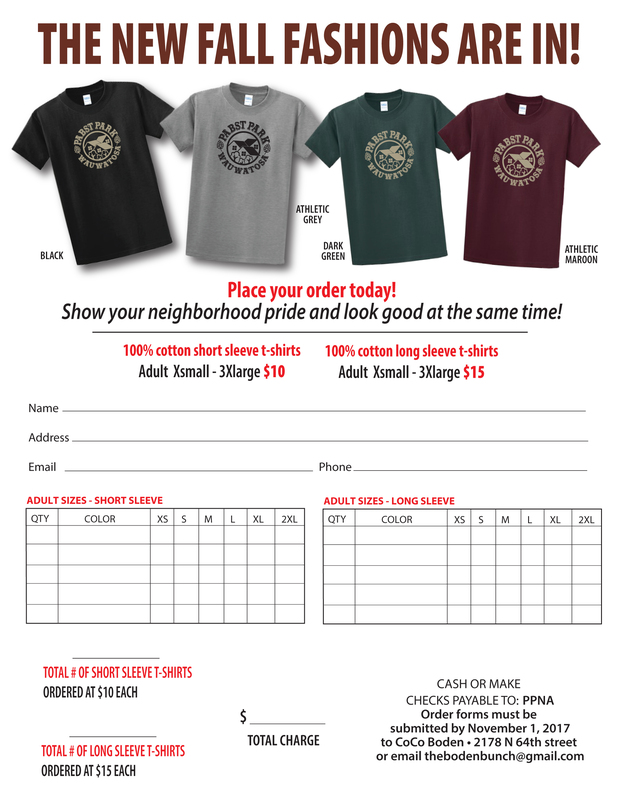 For those who join us there will be a raffle for gift certificates for our PPNA Fall T-shirt order. Come cheer on The Pack with your neighbors! Football themes would be fun, but no penalties if dishes are not themed. Since we are so close to the end of the membership year, we will also be accepting memberships if you would like to get ahead of the game. Membership forms can be found, here. What to expect? A chili competition, a blood mary competition, live music, outdoor yoga, food, beer, bounce houses, fashion show, dancers, shopping, and more! All on beautiful North Ave in East Tosa. Volunteers are needed, please visit the Chili’n on the Ave home page, here, to sign up. So much fun, right in our neighborhood!